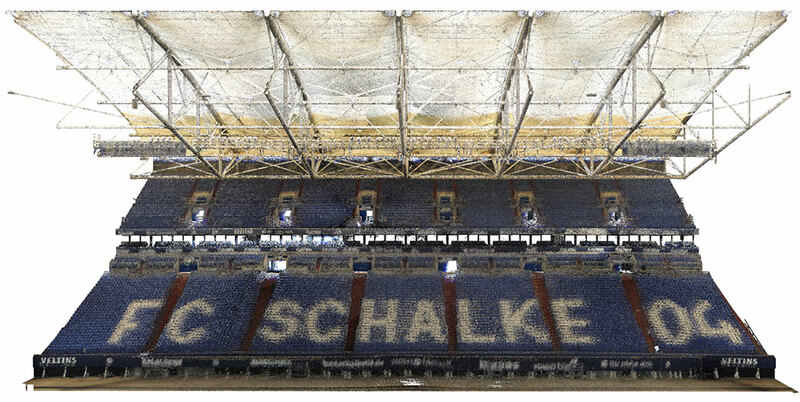 On behalf of the world-famous game developer Konami Digital Entertainments, ArcTron 3D was able to scan the “VELTINS Arena” in Gelsenkirchen – the famous club-owned arena of FC Schalke 04 – in high resolution 3D. 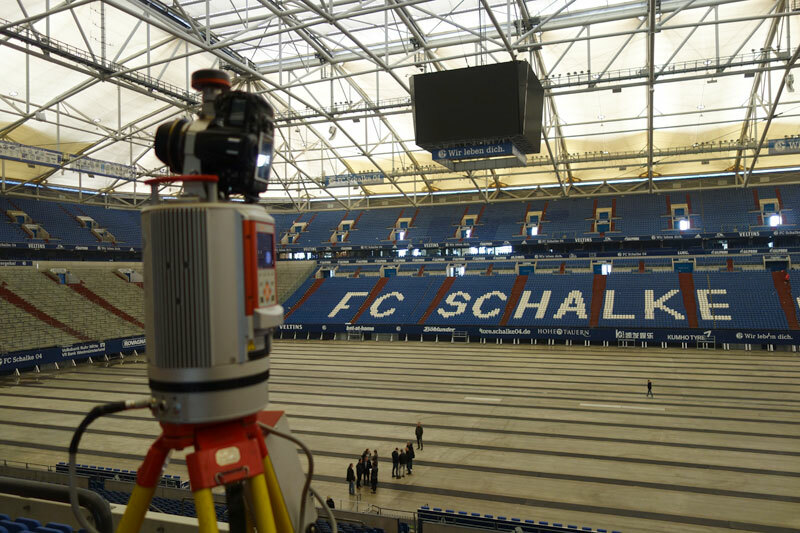 The extensive surveying data was processed and prepared in such a way that Konami Digital Entertainments could use the 3D data of the stadium for further 3D modelling and photorealistic visualisation. 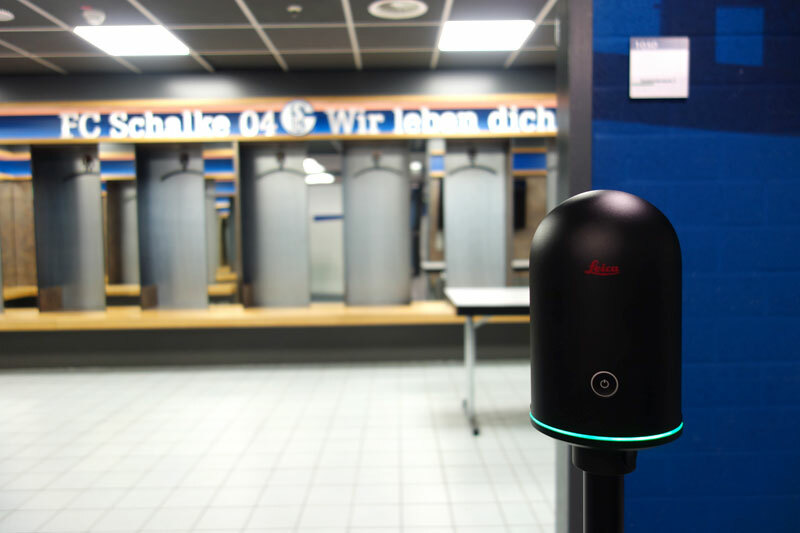 In addition to the VELTINS Arena, ArcTron 3D also scanned the exclusive VIP broadcast rooms, the changing room of the home team and the famous mining gallery like players tunnel. Combined laser scanning and photogrammetry technologies were used to generate data for the point clouds of several billion points. In addition to airborne scanning data, two terrestrial laser scanners, a long-range scanner (RIEGL VZ400) and a short-range scanner (LEICA BLK360) were used to do the job. 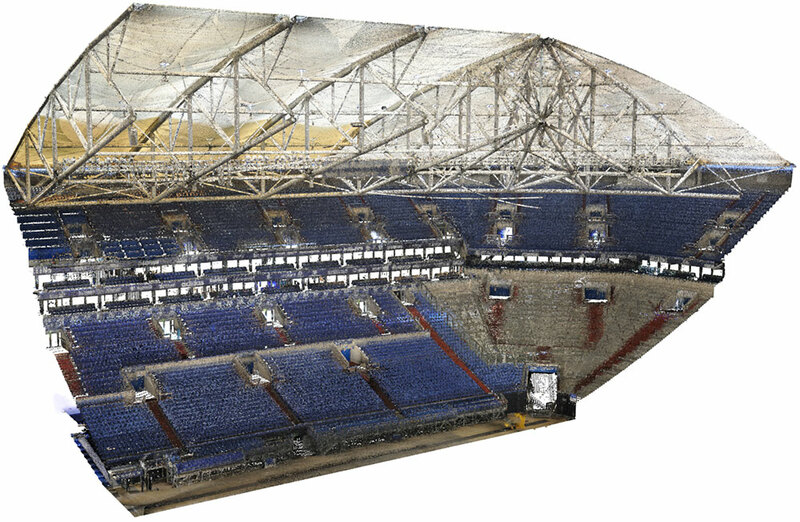 The small team was able to document all the required areas of the stadium in 3D within just two days. For this more than 100 scan positions were realized. 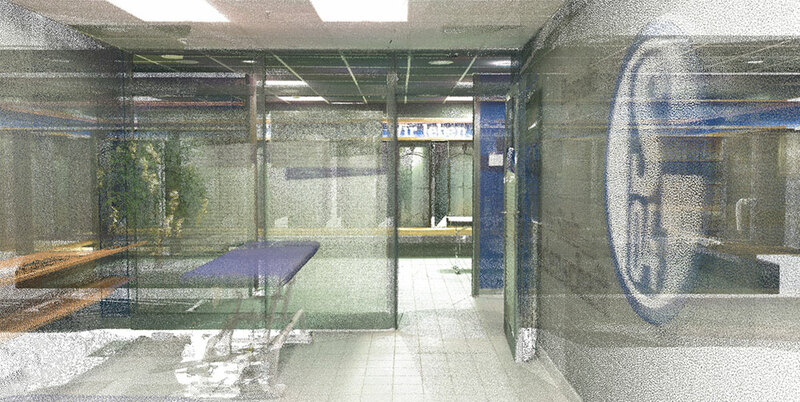 The data processing took place within one week and included the filtering, optimization and reduction of the point clouds colored with RGB values. The 3D point cloud was prepared and delivered quickly and specifically for the respective requirements of Konami Digital Entertainments. The 3D specialists from Konami Digital Entertainments used these in the further modelling process to create a highly realistic simulation of the stadium for the computer game “PRO EVOLUTION SOCCER 2019”. This project reflects the optimal workflow and perfect fusion from different data sources, which is revealed primarily in the price/performance ratio – a fast, accurate and cost-effective delivery of 3D data for subsequent processing in real-time environments. Take a look behind the scenes of the Schalk stadium scan! 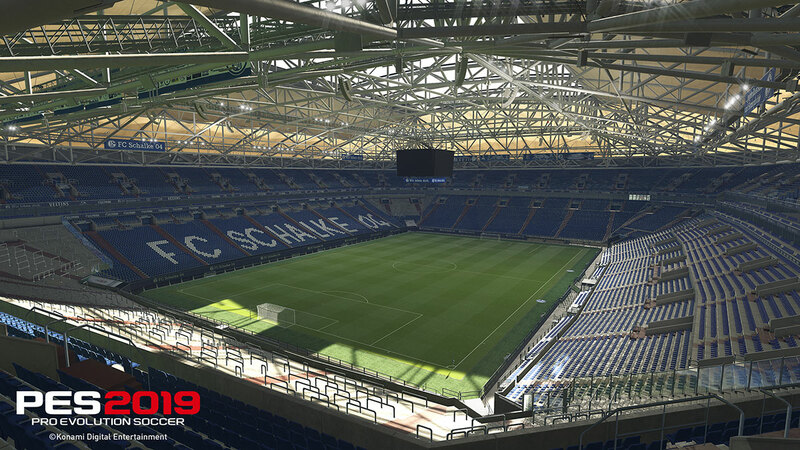 Scanned and digitized: The 3D Veltins Arena is part of the exclusive agreement between FC Schalke 04 and Konami for PES 2019 (Figure: Konami).